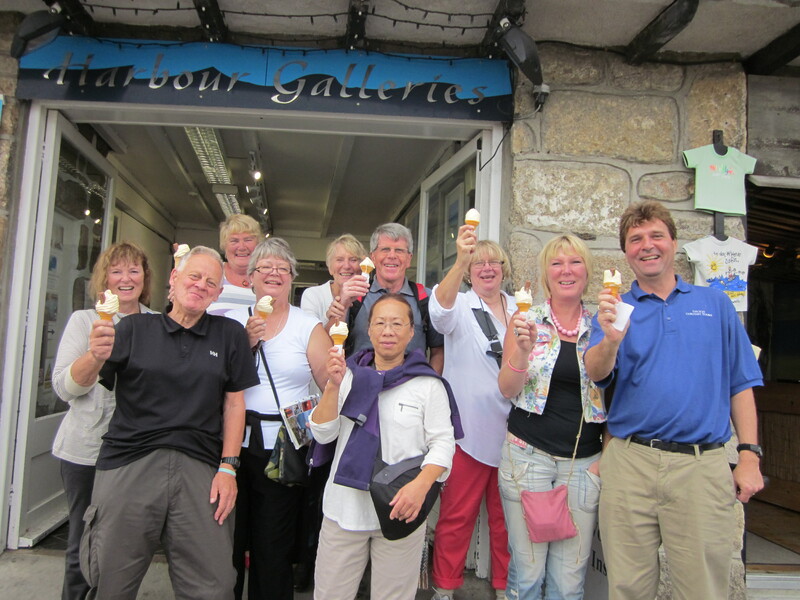 The 99 ice-cream is synonymous with the English seaside and the first of the five things that MUST be completed and enjoyed whilst on Dacey’s Cornish tours. As the song goes “only the flakiest crumbliest chocolate tasted like chocolate as never tasted before” Anyone who grew up in the UK in the 80’s can remember this song from the flake advert and most of the boys can remember the beautiful woman seductively unwrapping the flake chocolate bar. So whoever invented the flake chocolate bar and then had the insight to plonk that into a soft serve ice-cream was, in my mind, a genius and today this blog pays homage and respect to that person, whoever you may be. The origins of the name are uncertain. 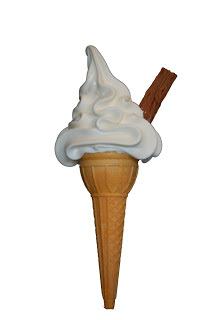 One claim is that it was coined in Portobello, Scotland when Stephen Arcari, who opened a shop in 1922 at 99 Portobello High Street, would break a large ‘Flake” in half and stick it in an ice cream. The name came from the shop’s address. A Cadbury representative took the idea to his company. Another possibility, generally discounted, is that it was named by Italian ice-cream sellers (many from mountainous areas in the Veneto, Trentino, Bellunese and Friuli) in honour of the final wave of conscripts from the First World War, born in 1899 and referred to as “i Ragazzi del 99” – the Boys of ’99. They were held in such high esteem that some streets in Italy were named in honour of them. The chocolate flake may have reminded them of the Alpine Regiment’s hat, with a long dark feather cocked at an angle. Whilst the food revolution takes hold of my homeland at such a rapid rate and people like Jamie Oliver and Rick Stein open new restaurants all over town from Newquay to St Ives, I can still look back with fond memories or fond nightmares at some of the food we were served when growing up. Back in the day, my homelands were not known for their culinary delights. It’s only in the modern era (the last 15 years) that young hip groovy people have made English food something to be proud of and actually something to be enjoyed, delighting those taste-buds like never before. As I say it was not like that in my day. There are still some things that I cannot even look at, let alone taste, such as custard and semolina uurrggh. I remember one time at school not being allowed to leave the table until I had eaten this disgusting custard-type dessert. Thinking about that now sends shivers down my spine and to this day I often wake in the middle of the night having had nightmares that I am being chased by this disgusting custard in a race against time. But through all those dark food experiences I could always rely on my one ray of sunshine, the 99, delicious soft serve ice cream spiraling towards the sky with that flaky chocolate. As I write my mouth is beginning to water and a smile comes across my face as the feel-good factor envelops me with just the thought of my next 99. I know exactly when it will be, Tuesday 10th June, St Ives 2.30pm as Dacey’s Cornish tours heads into St Ives and stops at a local ice cream shop, where we will all get the chance to lose ourselves in a 99.